One of the rarest of bears out there is the panda bear. This adorable guy lives in the jungles of China and loves to chow down on some tasty bamboo. When this panda bear isn't having a treat he is just lounging about because he just loves to relax. 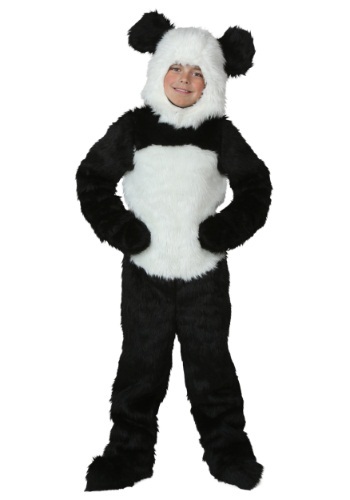 Now if you want to look like a panda yourself you can easily in this classic animal costume. There's just something about pandas. They're cute. They're cuddly. They're fun. 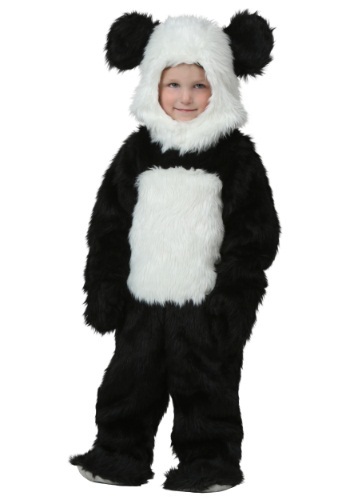 Your child can be all of those things in this Child Deluxe Panda Costume. He might even develop a sudden liking for bamboo! 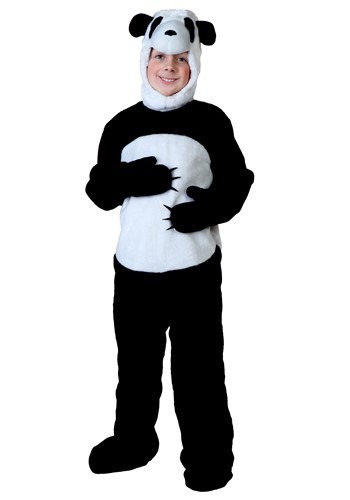 If your child loves wildlife, this Child Panda Costume is just what he'll want for Halloween! Let him become a chubby Chinese bamboo-eating zoo attraction and charm everyone he meets. Do you have some bamboo for this guy to snack on? 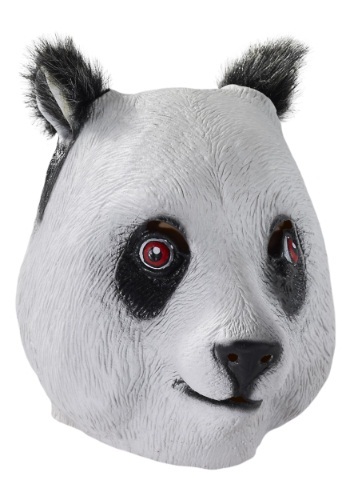 This Deluxe Latex Panda Mask is great for wearing to the zoo and freaking out all the kids. Pair it with a black and white outfit for a unique costume. Did you know that the panda bear doesn't hibernate in the winter? Instead it moves to a different elevation. Your little cub will stay cozy and warm while showing off her panda markings in this Girls Pretty Panda Bear Costume. Po went a long way in his training, and he defeated the evil snow leopard Tai Lung. Then he had to work on finding inner peace by confronting his origins. When you wear this Kung-Fu Panda - Po Deluxe Child Muscle Costume, you can take Po's journey. Get ready for some serious Kung Fu Fighting! Did you know that for many years, wildlife biologists weren't sure that pandas were actually bears? They're almost exclusively vegetarian, and they were long thought to be more closely related to raccoons than to bears. It wasn't until the panda's DNA was examined that biologists conclusively determined that they are, in fact, true bears despite their unique features. 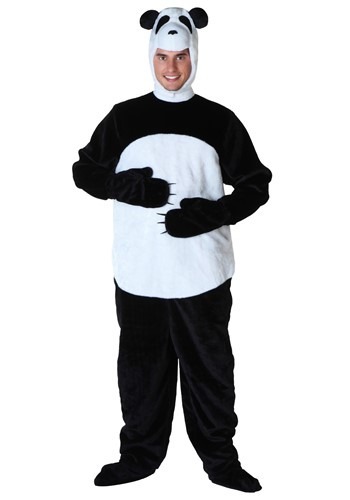 Become that unique creature in this Men's Panda Costume! Anyone who likes pandas will love this soft, cuddly friend who can carry your notebook for you! You can adjust the length of the straps to fit your own comfort. Pandas occupy a unique niche in the animal kingdom--they're the only members of the Carnivore family that are almost exclusively vegetarian! 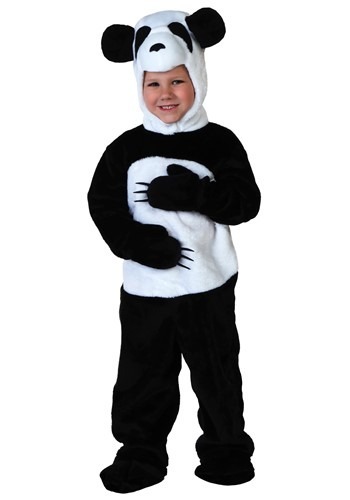 Your child can spend time in that niche while wearing this Panda Toddler Costume. Did you know that a panda's diet consists of 99% bamboo? That's a lot of bamboo eaten per day! 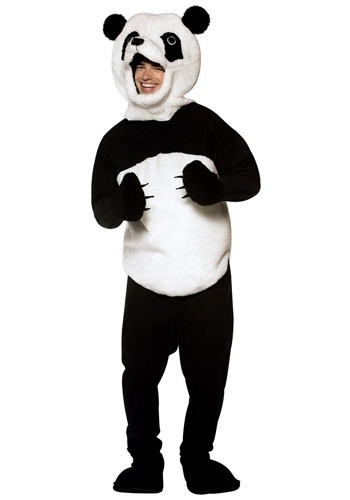 You won't have to worry about just sticking to a bamboo diet in this Playful Panda Costume. I'm sure all kinds of tasty treats will come out of the forest to find you. 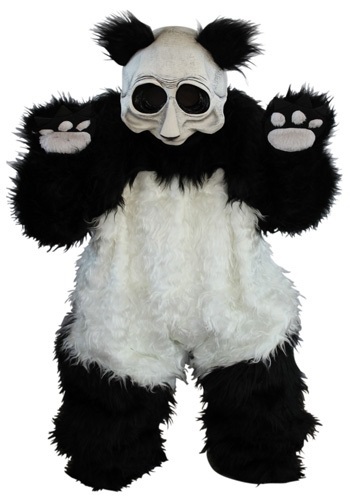 This Plus Size Panda Costume lets you become a creature that some biologists have called a "living fossil." That means that modern pandas have changed very little from their earliest ancestors found in the fossil record from 2.5 million years ago; the main difference between ancestral and modern pandas is that the modern ones have gotten bigger. By contrast, modern dogs and cats have changed in many ways from their earliest ancestors.Have fun eating your bamboo! Pandas are always a favorite at the zoo, and in this Precious Li'l Panda Costume she's going to be a favorite wherever she goes, too! The ensemble includes dress, cape, gloves & boot covers. Did you know that pandas are related to raccoons? This Panda has been flown across the sea on special delivery. You see, she's cute and cuddly, but she also has an exotic side. She's not really into gnawing on bamboo or climbing trees, but this panda knows how to cut a rug. Have you ever seen a panda do the cupid shuffle or the electric slide? It's a site to be seen! Did you know that pandas have a special lining in their throats to protect them from bamboo splinters? While bamboo may be the favorite meal of the panda, I don't think you'll have to worry about getting all bamboo this Halloween. Transform into the cutest bear in the world with this Teen Pretty Panda Costume. Do you ever feel like you just need to hug a panda bear? Well, breaking into the closest zoo with a resident panda might not be the best idea. Most zoos don't like it when you try to climb the fence to cuddle with the animals. You can, however, cuddle with your little one and with this toddler panda costume, your little one will look just like the adorable animal. Pandas are so lovable, it's only natural that you'd want to take them home from the zoo. Of course, trying to convince the zoologists working there to let you take one home is easier said than done. You could always dress your little one up in this toddler panda outfit, which is much more adorable anyways. It's also a great way to get your child to eat his bamboo shoots. Did you know that a panda spends 14-16 hours a day eating bamboo? Hopefully vegetables will be a little easier to eat in your household after your toddler realizes that's what her favorite bear eats! Transform your little one into her favorite veggie-eating bear with this Toddler Precious Panda Costume. 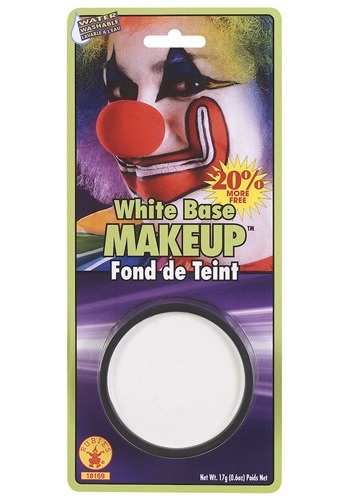 Be the ghost of your dreams or the clown of your nightmare, simply open package and apply this White Base Makeup. Of course you'll have to get a bit creative to achieve that perfect look but we can help with that too. This makeup comes in multiple colors! Become one of the most adorable and sadly endangered species! This Women's Panda Bear Baby Costume is a soft and furry costume that will make you look like a cute and cuddly panda bear. Don't be surprised if everyone starts cuddling up to you while you wear this complete costume that even comes with the mitts and boot covers. Become the star attraction at a zoo theme party in this Women's Plus Size Panda Bear Baby Costume! You'll be just as soft & cuddly as a real panda. The advantage is that, while you'll look like a panda, you won't have to stick to their diet of bamboo. This panda is tired of being cooped up in the zoo and ready to come out and eat ... BRAINS! Be on the lookout for large, infected animals at your next zombie party. When you're bit by an infected panda, you turn into a panda. Seriously, it's an epidemic out there!